March 2015. 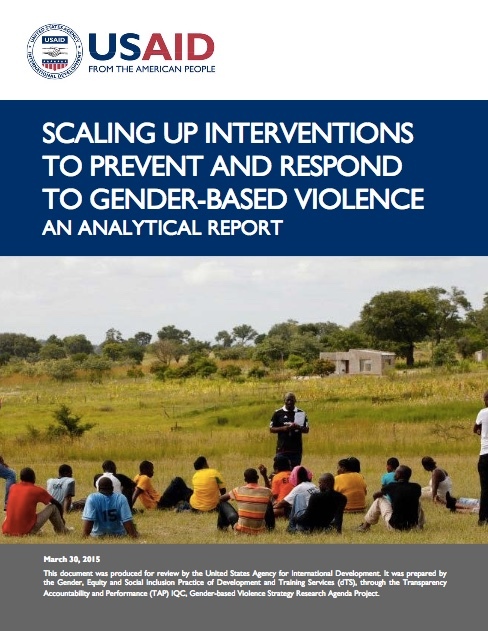 USAID has released a document which takes Stepping Stones as an example of a programme which can be scaled up to respond to Gender-Based Violence (HIV). The description draws on experiences of adaptations in South Africa, the Gambia and elsewhere. Click here to access this document. Search this current website to learn more about the opportunities of a scaled up use of Stepping Stones in these different contexts – and the many issues which also need to be considered to scale it up effectively.